We would like all the children after the age of 6 yrs to attend the Catholic school but they have to sit an entry exam and although the education within the Day Care Centre gives them a head start some do fail and go to the state school in the town. The state school is very overcrowded and the children either attend the morning or afternoon shift where as the Catholic school offers full days and smaller classroom sizes. There is a cost for the Catholic school of approximately £100 per year which Ethiopiahope will pay via sponsorship. 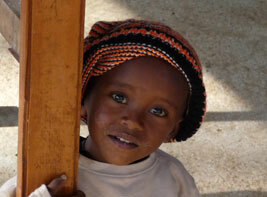 Ethiopiahope currently sponsors 26 children which will increase to 39 in September. We will also provide school uniform and lunch if required.